All Clarksboro homes currently listed for sale in Clarksboro as of 04/22/2019 are shown below. You can change the search criteria at any time by pressing the 'Change Search' button below. If you have any questions or you would like more information about any Clarksboro homes for sale or other Clarksboro real estate, please contact us and one of our knowledgeable Clarksboro REALTORS® would be pleased to assist you. "New construction...2-story stunning semi-custom built Colonial on 1+ acres in picturesque East Greenwich Township, Gloucester County. Buyers can still pick color selections!! This 2800+ square foot, 2 story offers 9' first floor ceilings, side car entry garage, humongous master retreat with sitting room, poured concrete foundation, and upgraded finishes throughout. Why buy in a development when you can own your own 1+ acre piece of paradise? Call Piccolo Realty for further details." "Spectacular horse property with newer ranch home and all the amenities you need to live a comfortable life with your horses on the premises!! Septic system has been replaced. Home has been painted in soft neutral tones and two of the bedrooms are carpeted. The remainder of this home features easy care ceramic tile throughout! With an open floorplan, the kitchen overlooks the huge family room with cozy fireplace and an enclosed breakfast room that overlooks the inground pool and horse pasture! This home is tucked away on over eight acres of privacy with a gated entrance and is conveniently located with easy access to all major commuter routes! This is a Fannie Mae HomePath property." "Why wait to build when you can buy almost new in the desirable Villages at Whiskey Mill community? This is the Strauss model, the largest in the community with 4 bedrooms and 3.5 baths and over 2,300 square feet of living space. This barely 3 years old home is loaded with upgrades including a 1st floor massive bedroom and full bath that can serve as a 2nd master suite for your teenager or in-laws. Other upgrades include hand scraped hardwood floors in the foyer and the entire 2nd floor main living area. The stairs feature stained wood treads and painted risers with wrought iron spindles. 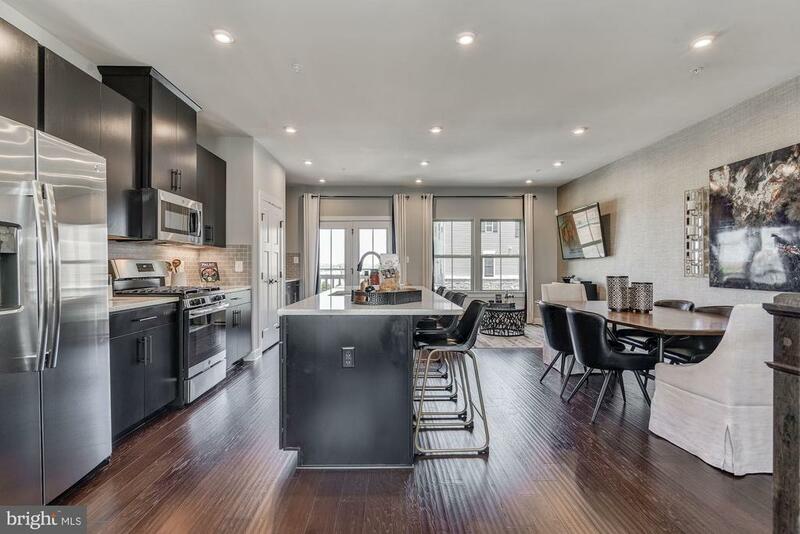 The open concept main living floor features a kitchen with upgraded granite countertops, 42-inch espresso maple cabinets, butler~s pantry and a HUGE island that is the focal point of the space. Other areas include a 14x10 engineered deck, dining room and large family room with a powder room. Head to the third floor where you will find the 3 remaining bedrooms and 2 full baths. The master suite features a tray ceiling with a walk-in closet. The master bathroom offers upgraded ceramic tile and a huge shower with separate jetted soaking tub. The laundry is conveniently located on the 3 rd floor. Two additional nice sized bedrooms and a full bath complete the top floor. Additional upgrades include ceiling fans in the family room and all bedrooms and recessed lighting throughout. There are still 2 full years left on the tax abatement so now is the time to take advantage. Great location near restaurants and shops and the highly regarded East Greenwich/Kingsway school districts. Schedule your visit today." "New construction tax abated community by Ryan Homes. The Villages at Berkley Square is located in the heart of East Greenwich Twp. This home is currently under construction and will be ready for an early Summer 2019 move in date. The Strauss is our largest model and has 3 beds, 2.5 bath, 1 car garage, with a finished lower rec room. The kitchen is completely upgraded to include: 42~ Maple Espresso cabinets, GE stainless steel appliances; including frig, plus granite countertops. A GE washer and dryer is also included. Luxury vinyl plank floors can be found throughout the main level, foyer, and powder room. For outdoor entertaining and living a 10x14 composite deck is located off the morning room. Master bath comes with a standing stall shower plus a soaking tub and upgraded ceramic tile. Please call Lucky today to find out more information! Ask about our closing cost assistance through NVRM. *Pictures are taken from a model home and do not represent actual included features." 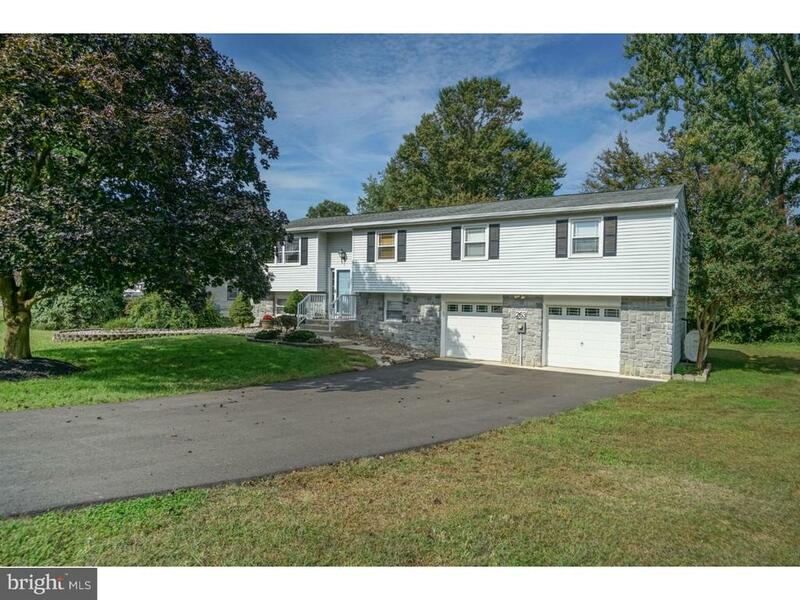 "Welcome to this expanded home with a 2 car garage, located on a quiet lot, near the end of a cul de sac, in desirable East Greenwich Township! Check out this gorgeous custom kitchen complete with tile floors, upgraded appliances and granite counter tops. The layout is conducive to every chef/bakers dream with a huge center island featuring a Jenn Aire cook top with grill grates and a cabinet that features a pull out shelf specifically designed for a kitchen aide mixer. What a convenience, for easy access to prepare those pies, cookies and cakes! The large convection wall oven provides plenty of baking/cooking space. This with the high tray ceiling and bright windows create a great family area as everyone always gathers in the kitchen! This opens up to the living/dining room which ever fits your family's needs. Four bedrooms and a full bath complete this floor. The master bedroom addition features a large walk in closet and space perfect for a future master bath. The lower level consists of an office, laundry room, powder room and a huge family room with sliding glass doors opening to the back patio. The patio pad was built with footings, thus if the new owner should ever want to add a sun room, it is ready. The roof was re-sheathed and replaced approximately 12 years ago with top line dimensional shingles. The heater and air conditioner are only 5 years young and the home has been well maintained through the years. Come check it out and join this great neighborhood just minutes from Route 295, Philadelphia and an hour from the Jersey Shores! Come take a tour, seller is open to offers!" "Amazing Opportunity to purchase your own working Horse Farm. This Property features a Huge INDOOR Riding Area complete with 16 Stalls & plenty of Storage space. On almost 13 Acres of land, plus Wooded areas, there is plenty of room to Ride and Board Horses & Other Farm Animals. Already set up with Large Fenced in Paddocks that have Run-Ins, Water & Electric. Instant Income with plenty of people looking to board their horses here. 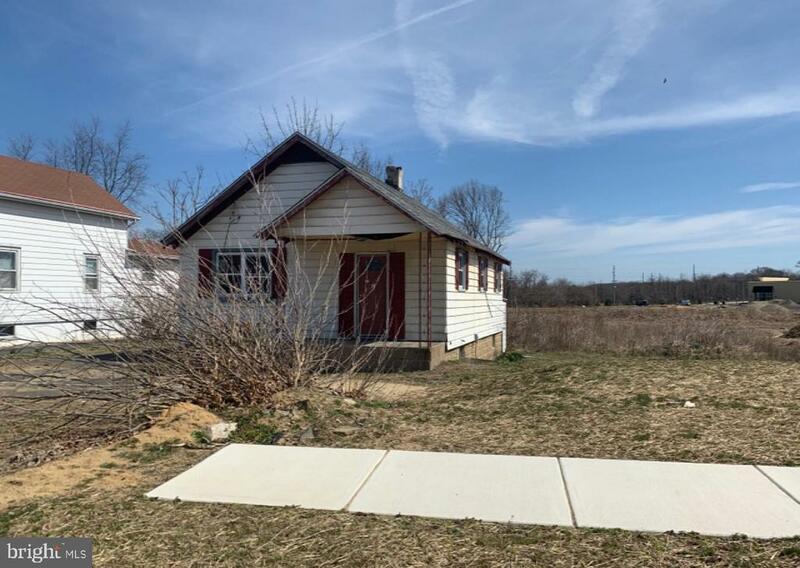 You can also possibly Build your Dream home on this Property and keep it private ( Township Zoning Approvals for any changes are on the Buyer) Great Location just off of 295, 15 Minutes from Philly, and in a Great School District. Call for more details, Please do Not walk the property without appointments." "Call our office to schedule a visit to see The Villages at Berkley Square by Ryan Homes. 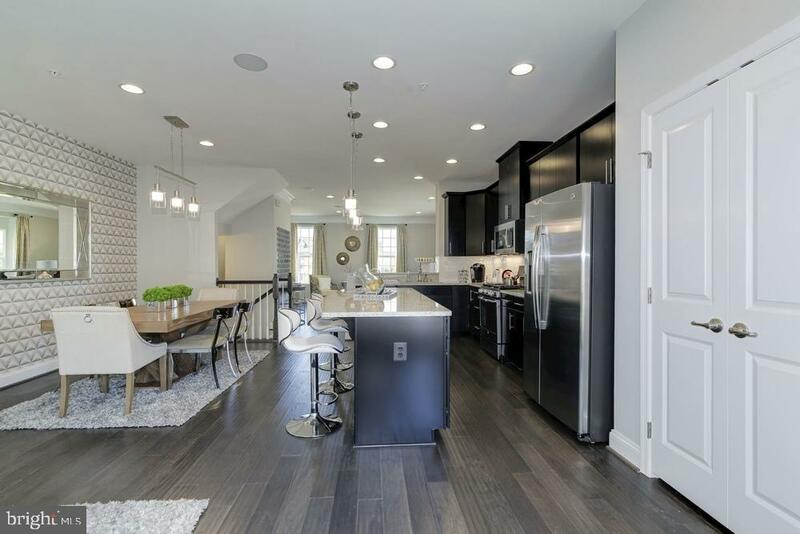 An upscale townhome community with Craftsman exteriors in desirable Kingsway Schools, just 15 minutes from Philadelphia, offering a tax pilot. This listing is for our largest model, the Strauss, and is not yet built. The Strauss has 3 bedrooms, 2 full baths, a 1 car garage, and an open floorplan. *Offering closing cost assistance through NVRM. 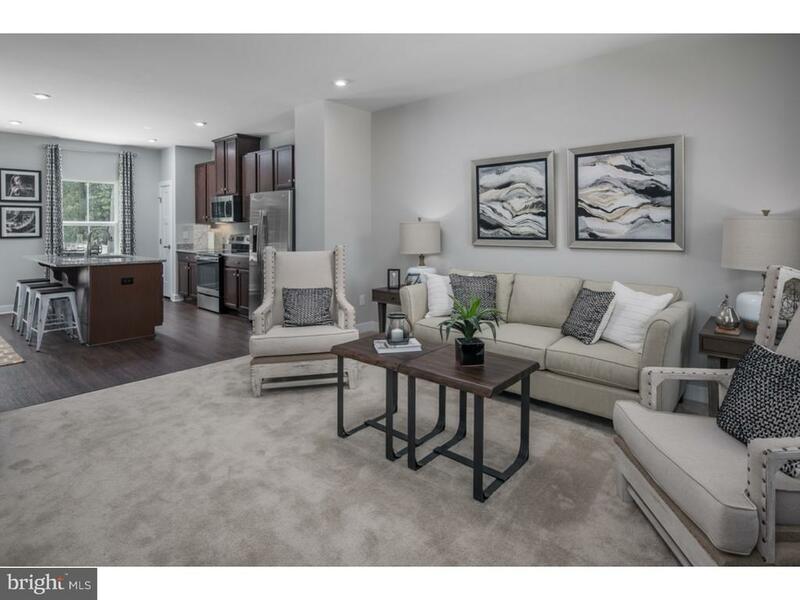 *Pictures are taken from a model home and do not represent actual included features"
"Call our model sales office to schedule a visit to see The Villages at Berkley Square by Ryan Homes. An upscale townhome community with Craftsman exteriors in desirable Kingsway Schools, just 15 minutes from Philadelphia, offering a tax pilot. This listing is for our Mozart model and is not yet built. The Mozart has 3 bedrooms, 2 full baths, a 1 car garage, and an open floorplan. For more info on options and how to make this home yours call us today! Ask about our closing cost assistance through NVRM. *Pictures are taken from a model home and do not represent actual included features." "Pristine condition! This home was completely REDONE in 2014! Newer roof, windows, siding and deck! Large BACKYARD great for Barbecues! Updated electric, plumbing, insulation, & sheet rock! And talk about a KITCHEN to entertain in with stainless steel appliances and GRANITE counters and added character with WOOD counter top made from the original floor board from the attic flooring! Efficient gas heater, central air and water heater! Hand-scraped hardwood and ceramic tile floors and upgraded carpet. Custom trim work everywhere with crown molding and chair-rail. This home features 3 Bedrooms 2 FULL upgraded bathrooms! Convenient 2nd floor laundry area, Large Master Bedroom with Cathedral ceilings and 2 closets. Recessed lights throughout and cable in all bedrooms. Large garage perfect for storage! 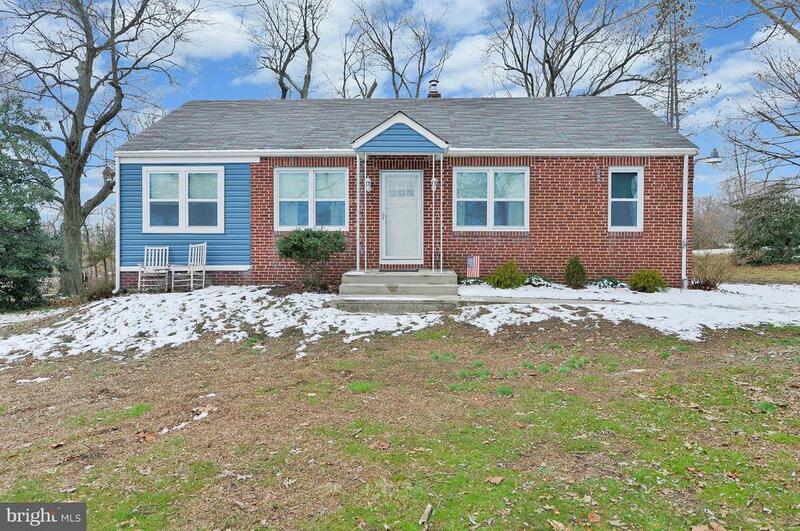 This is a must see home in Clarksboro!" "Call our model sales office to schedule a visit to see The Villages at Berkley Square by Ryan Homes. 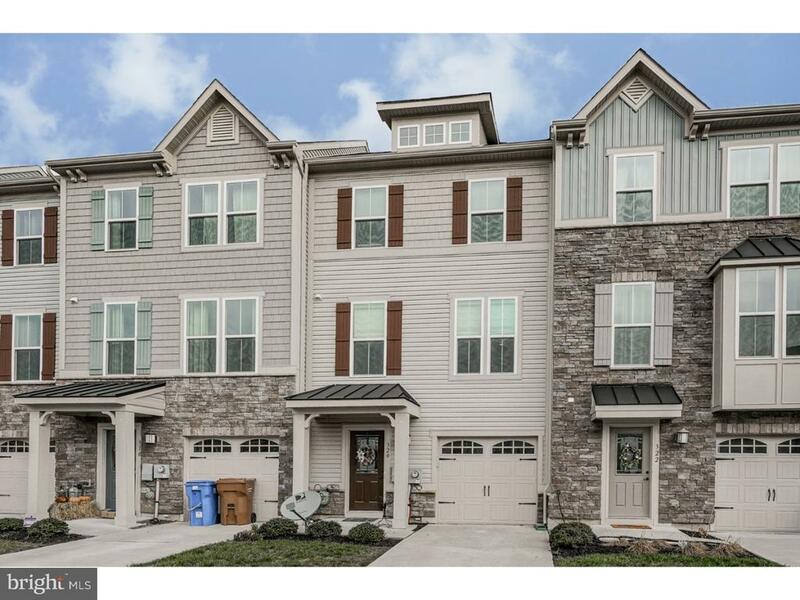 An upscale townhome community with Craftsman exteriors in desirable Kingsway Schools, just 15 minutes from Philadelphia, offering a tax pilot. This listing is for our Beethoven model and is not yet built. The Beethoven has 3 bedrooms, 2 full baths, a 1 car garage, and an open floorplan. For more info on options and how to make this home yours call us today! Ask about our closing cost assistance through NVRM. *Pictures are taken from a model home and do not represent actual included features." "You will just love this adorable and affordable rancher in the very desirable Kingsway school district! 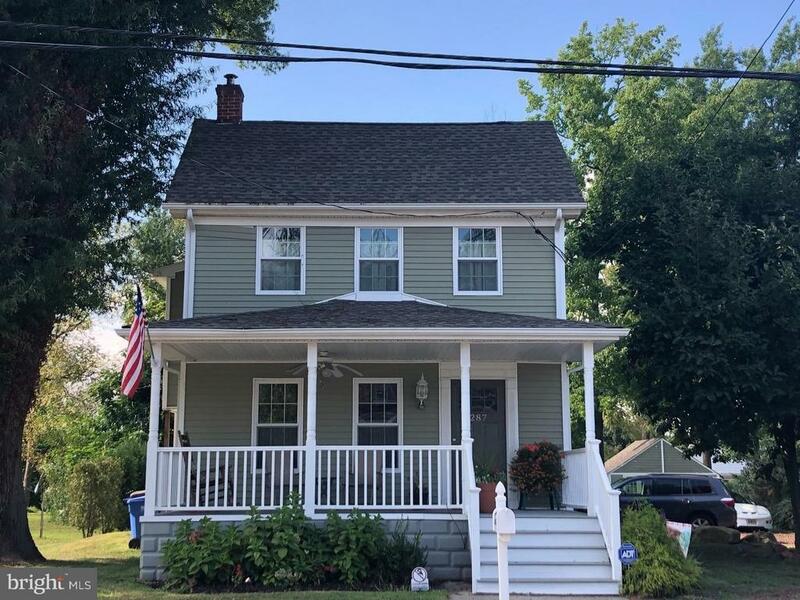 This home features 3 bedrooms, ample living room & dining space, a functional kitchen with beautiful backsplash and new countertops, a full basement that has been recently water proofed, a great den area and an updated bathroom! You will love the hardwood floors and crown molding which add so much warmth and character to the home! The tasteful decor is so apparent and really adds to the vibe of the home. The windows and exterior doors are new and so is the heater! There is nothing to do here but move in! The home is situated on more than 3/4 acres and overlooks a pond that you can fish in during the warm months and ice skate on when it freezes over! Don't wait to see the great deal in Clarksboro!" "Handyman special. 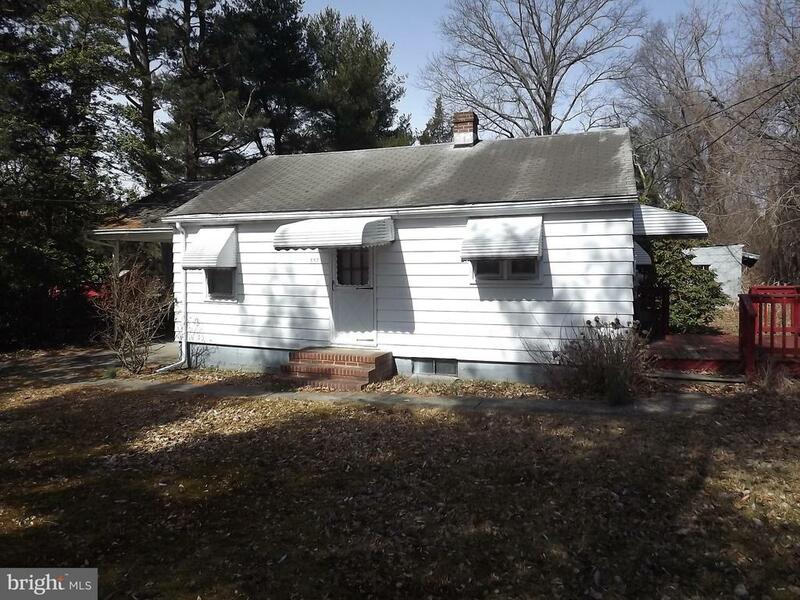 This 2 bedroom ranch house is situated on 4 acres in desirable East Greenwich Twp. The house offers a living room, kitchen and 2 bedrooms and a full bath. The house can be rehabbed. Or someone may wish to tear the house down and build new. Property is being sold as is and the buyer is responsible for all certifications and approvals in order to settle. The property is serviced by public water. However there is an existing well on the property. Property currently has a septic system/cesspool. Public sewer is located in the street in front of the house. Buyer should check with the East Greenwich public works department to determine access and availability of public sewer. Being sold as is. This is an estate sale." "Nice 2 story Colonial home located in Clarksboro. As your approach the property you notice the Nice landscaping Brick front Porch, and Screened in Side Porch / Patio. You enter the home through the living room area with Brick fireplace. From there you continue on into the large eat in Kitchen. Once upstairs you have 2 bathrooms and 3 large sized bedrooms with the master bedroom having vaulted ceilings, full bathroom and walk out 2nd story deck. Once outside You have a spacious backyard with driveway that goes into the backyard for parking multiple cars. This property is being sold strictly AS-IS so please make sure your lender can do this financing. **Any and all documentation we have on file is uploaded into Trend! **"
"You'll love the built in in-law suite!" "Calling investors and handy men! 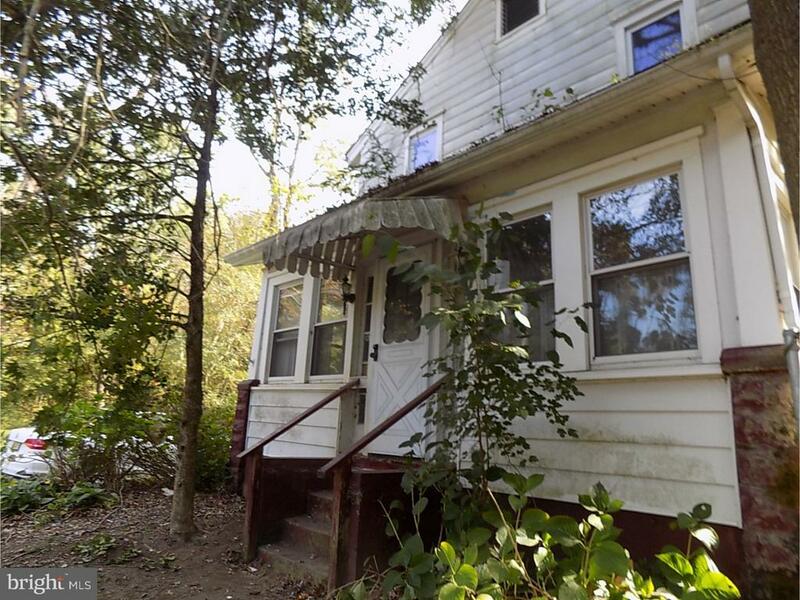 2 bed, 1 bath home with a full unfinished basement. Over 1 acre lot. No property disclosures. No inspections have been done."